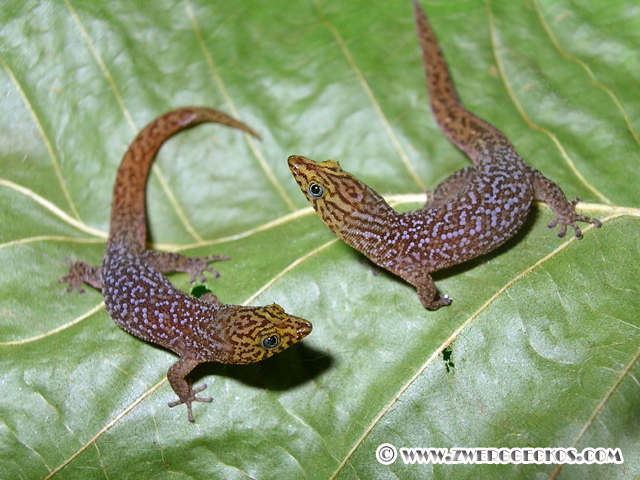 The genus Sphaerodactylus belongs to the sub-family Sphaerodactylinae (ball finger geckos). 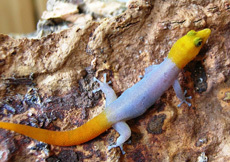 With about 100 different species, this puts Sphaerodactylus in the lead for having the most species of geckos within a genus. Furthermore the genus contains as many subspecies as species. 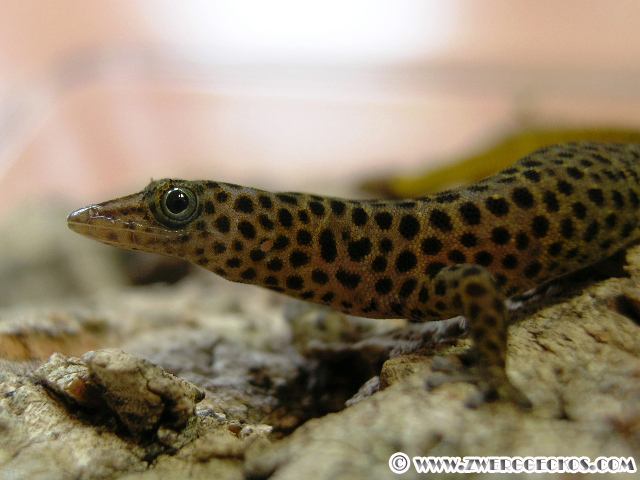 The name Sphaerodactylus comes from two Greek words: Sphaira=ball and dactylos=finger. The main distribution of this genus comprises the large and small Antillen islands, as well as the Central American mainland. The largest biodiversity can be found on Hispaniola where about 35 species live, followed next by Cuba. Approximately 25 species can be located in Cuba. The northern most distribution boundary is in Florida. While you can find Sphaerodactylus elegans, argus and notatus there, it is unclear if they naturally occur there or if they were introduced by man. Most likely they were indeed placed there by humans. 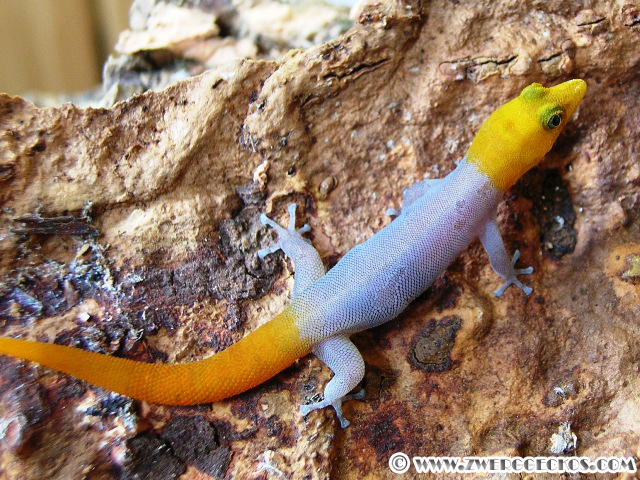 A few species occur down to the Brazilian east coast, which is the southern most distribution zone of the actual ball finger geckos. 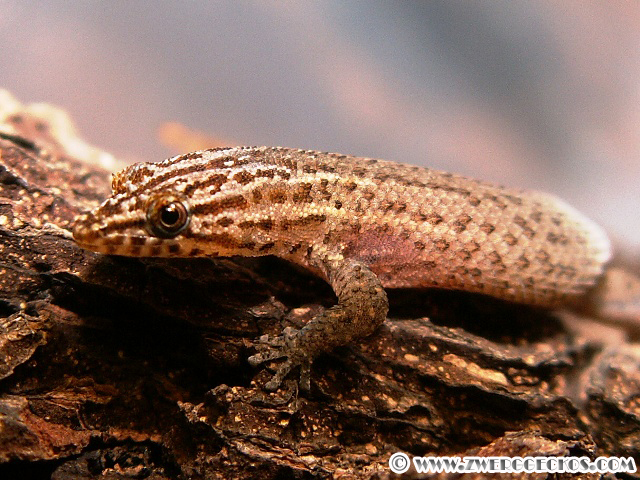 All representatives of the genus Sphaerodacylus are very small insectivorious lizards. 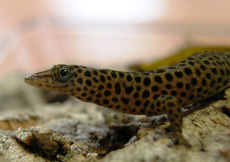 The largest species such as Sphaerodactylus dimorphicus and Sphaerodactylus torrei reach a total length of 8 centimeters. 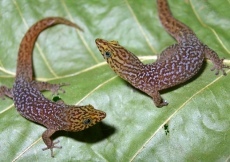 The smallest Sphaerodactylus, Sphaerodactylus ariasae (first described in 2001) and Sphaerodactylus parthonopion, reach a mere 3.8 centimeters in length and are therefore considered to be the smallest known lizards in the world. 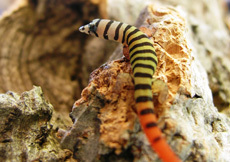 Sphaerodactylus is not the only genus under the family Sphaerodactylinae. 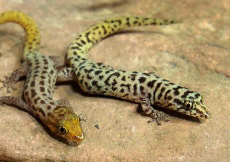 Other genera include Gonatodes, Pseudogonatodes, Coleodactylus and Lepidoblepharis. Sphaerodactylus seems to be the most advanced genus in this family. The retractable clawing at the toes allows them to control little bristles (Setae), with which they can run on smooth areas. Another noticeable feature is the eyes, which can move independently from one another. Over the eyes, towards the top is the so-called ciliary scale which is typical for this species. The round pupils allow these geckos to see best during the day and evening hours. Many types also show sexual dimorphism where the males and females can sometimes look like different species. 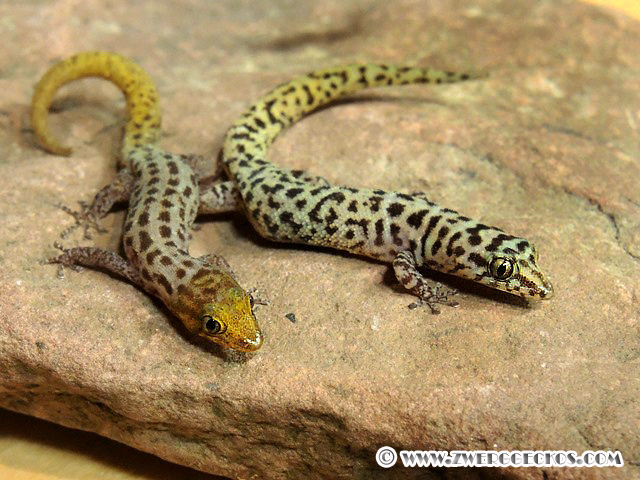 The geckos of the genus Sphaerodactylus live in conditions ranging from dry to half damp and partlially damp areas. 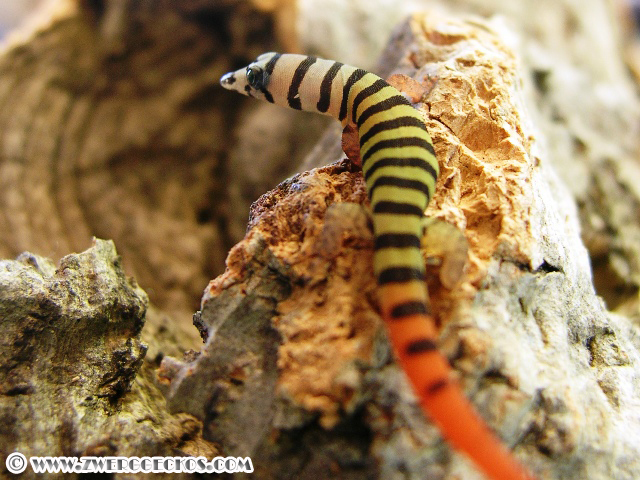 They are found at ground level, under dead wood or stones and in the area of trees, upwards of 2 meters in height. Some species can even be found on house walls and under wood piles. 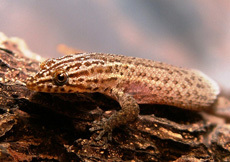 Sphaerodactylus are very rarely found in open, sun exposed places. Based on their small size and the fact that there are many predators that would hunt them, they are usually found in shady areas.